ieatfood » Oh hello! Thanksgiving, pressure canning, etc. Oh hello! 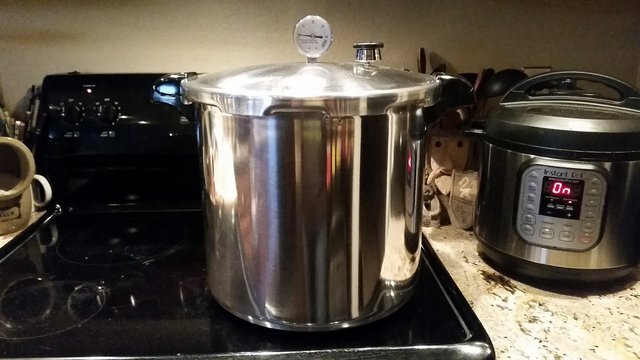 Thanksgiving, pressure canning, etc. Hi! It’s me, Renae! I am still alive, still in California, still vegan, still cooking, still obsessed with wildlife. The only thing that’s really new is the pervasive feeling of being traumatized that I’ve felt since the election. I keep reading about these “fake news articles” that are apparently running rampant on the internet. Apparently it’s mostly a Facebook thing and I use Facebook so infrequently that I actually have no idea how to even SEE news articles in Facebook, but I keep hoping that maybe all news articles about Trump winning the election are fake news. Please tell me that is the case: please, please, please. But enough about that because I just can’t deal with it. And Brad brought a really delicious sweet potato pie and brownies for dessert. The “turkey”, stuffing, mashed potatoes, gravy, and green bean casserole I pretty much made up as I went along. The cranberry relish was from Brooklyn Supper and was really good. The bread was the poolish-version ciabatta from The Bread Baker’s Apprentice by Peter Reinhart. The sauce for the mac & cheese was from Avocados and Ales. The “turkey” was pretty similar to the recipe for breasts of unchicken from The Homemade Vegan Pantry (which I love), but I pressure cooked it as a large loaf on Wednesday, then used Miyoko’s recipe for the yuba “skin” and baked it again Thursday afternoon. Bring a large pot of water to a boil and add the green beans. Cook until al dente, then drain and shock in cold water to stop cooking. Saute the onion and celery in some vegan butter or margarine until onions are translucent; set aside. Whisk together the broth, Ultra gel, onion powder, and garlic powder until the broth thickens. Mash up the avocado and add to the broth mixture and mix well. Stir in the green beans, onion/celery mixture, and half of the fried onions. Place in an oven-safe dish, cover, and bake at 375 for half an hour. Uncover and top with remaining fried onions, then continue to bake for 15-20 more minutes. I baked mine, covered, for half an hour, then cooled and put it in the fridge overnight so it only needed 15-20 minutes on Thanksgiving day. Chop the bread slices into cubes and spread out on a sheet pan. Bake in a 240-degree Fahrenheit oven for about 45 minutes or until dried out, stirring occasionally. Melt the butter or margarine over medium heat, then saute the onion, celery, and garlic until the onions begin to turn translucent. Add the sage, thyme, and rosemary and cook another minute or so. Stir in the bread cubes, then add as much of the broth as necessary to soak the bread. Place in an oven-safe dish and bake, covered, at 375 degrees for half an hour. Uncover and bake another 20-30 minutes or until slightly crispy on top. Again, I baked mine, covered, for half an hour Wednesday night, then uncovered for half an hour Thursday afternoon. I was so organized with my cooking and planning that I was able to go for a short hike Wednesday afternoon before it got dark, and on Thursday morning had a couple hours to just read and be by myself without running around like crazy. 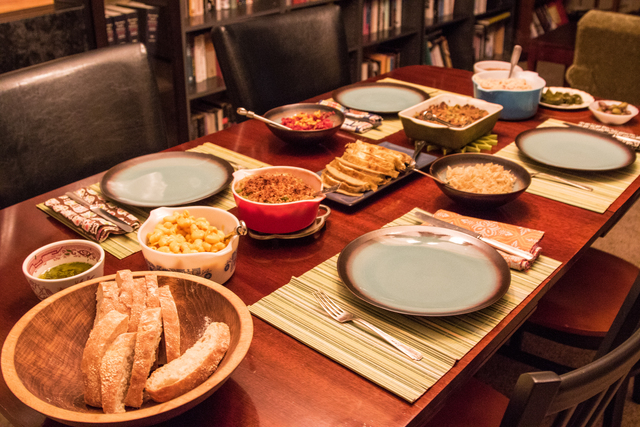 🙂 Really all I needed to do Thursday was bake the bread (I had made the poolish the night before), set out all the appetizers, and re-heat everything. I am good at holidays! I feel like every time I get around to making a new post I have a new culinary gadget to rave about. Last time it was my Instant Pot. This time it’s my pressure canner! A couple months ago I had 60 pounds of tomatoes I needed to can in one weekend, plus 10 pounds of beets, half of which I was planning to pickle. I’ve done 60 pounds of tomatoes in one weekend in a water bath canner before, but for some reason it was feeling really overwhelming that day and I made the somewhat impulsive decision to buy a pressure canner. It was enough of an impulse decision that I didn’t have time to Amazon Prime it, so I had to find one locally. The only Ace Hardware that had it listed in stock was in Oakland, so I drove out there and went looking for it in that store, but was unable to find it. I asked for help and was told they’d have to special order it for me. I was pretty annoyed I had driven out there for no reason AND I REALLY wanted the canner at this point so I sat in my car and tried to think who else might carry it. I thought of Bed, Bath, and Beyond and went to their website on my phone and was delighted to find that there was a BB&B TWO BLOCKS from where I was that had the same canner in stock! So I went over there and looked around for it. I didn’t see it there either and was feeling a little frantic, until I looked way UP and saw it all the way up by the ceiling. So I had to find someone to get a ladder and get it down for me, but I finally got what I wanted! I don’t know that pressure canning tomatoes really saves time in itself: the processing time is much shorter than a water bath, but once you add in the time spent venting steam before you start, then getting up to pressure, and then coming back down from pressure (which you must do naturally), really you spend the same amount of time working overall. BUT I can fit a whopping 22 pints into my canner! So basically I can do the equivalent 3 loads at one time, which IS a huge timesaver. I’d have bought the pressure canner for that reason only. But what I’m really loving about it is all the stuff I can now can that I never could before: basically, non-pickled vegetables, beans, and soups. The same weekend I had 60 pounds of tomatoes, I also had 10 pounds of beets, which is a surprising amount of beets. I pickled 6 or 7 pounds (I love pickled beets!) and used a water bath to can them, but then I pressure canned the rest. (By the way, I used my Instant Pot to cook the beets before doing either – the beets are what’s in the Instant Pot in the picture above!) So far I’ve used some of the non-pickled beets to make an impromptu borscht. 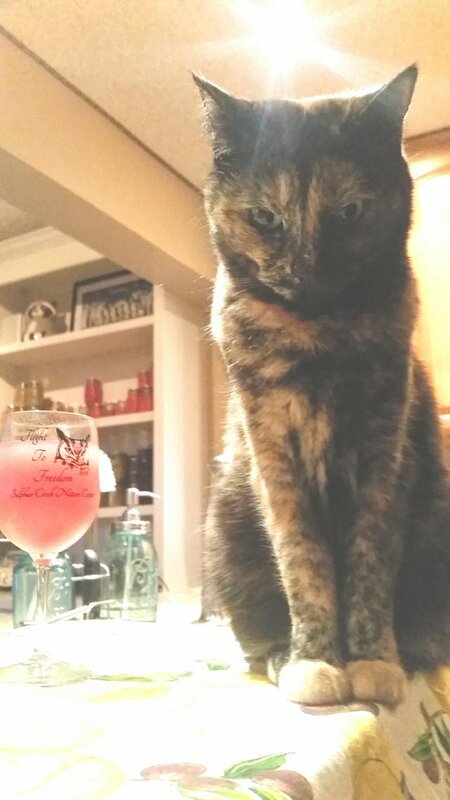 As I mentioned on Twitter the day I canned the tomatoes and beets, the “problem” with pressure canning is there is all this time waiting for the canner to come up to pressure that ends up being devoted to drinking and taking pictures of cats, who think they are canning helpers. 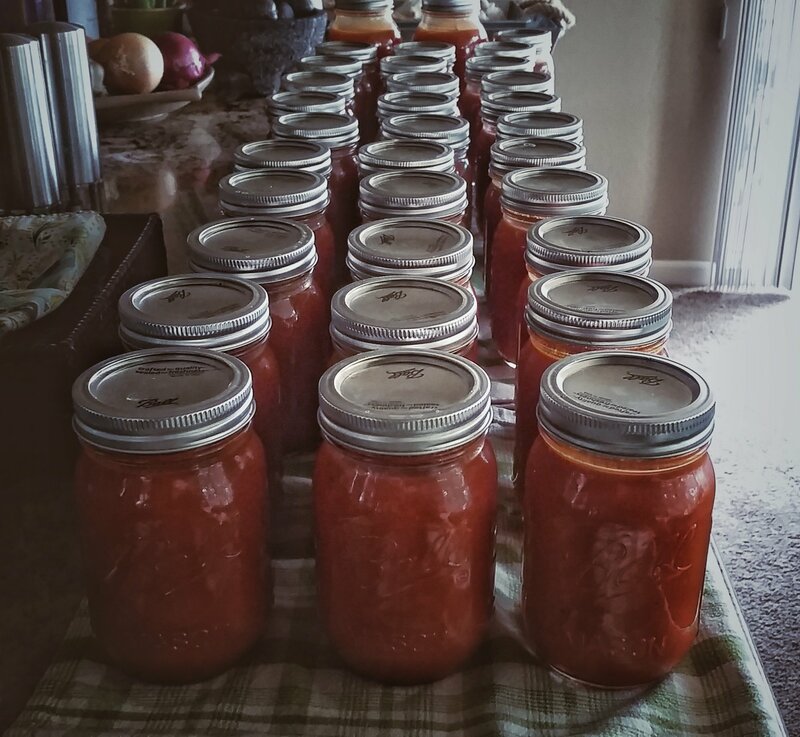 So anyway, now I’m on a big pressure canning kick with the goal of canning a bunch of things I can later turn into dinner on very short order – such as during the summer when they days are so long I often don’t come home from hiking until 10 p.m. and I’m starving. I’ve been soaking dried beans and pressure canning them, which I love because it’s so much cheaper than buying canned beans AND contains no sodium or other additives. For some reason I find it immensely satisfying. Last weekend I bought 40 more pounds of tomatoes (which were somehow still in season where I live) in order to make tomato soup. I used this recipe from Common Sense Home, which said I’d get 4 pints out of 8 pounds of tomatoes, so I made 5x the recipe, expecting to yield 20 pints. I somehow ended up with 35 pints! I basically have a TON of tomato soup! But it tastes great and is really versatile: in addition to serving as regular old tomato soup (usually with grilled “cheese”, of course), it makes a good base for a ton of other soups, and regular readers of this blog may remember how much I love soup. Since I knew it was going to be rainy all day today, I had decided to dedicate today to making Vegan Dad’s pressure canner chili, although I ended up with 9 1/2 quarts instead of the perfect canner load of 7 quarts that Vegan Dad promised (probably because I was overly generous when measuring pretty much everything). (Because you can do two layers of pint jars in my canner, but only one layer of quarts, the maximum number of pint jars I can can at one time is 22, but only 7 quart jars.) No problem: while canning the first 7 quarts, I soaked some of the tons of dried beans I have waiting to can, and I’ll be doing a second canner load of the remaining chili, plus a bunch of jars of beans. That’s most of the food news here, I suppose. In non-food news, the wildlife rehab gigs I have going on here are going really, really great. One of the two wildlife hospitals I volunteer at has actually hired me as a paid staff member! It’s just an occasional substitute animal caretaker position, so I’m not raking in big bucks or anything, but I was extremely flattered to be asked to do it and I’m extremely excited about the educational opportunities it affords. And I was just made a shift leader at the other hospital, which doesn’t involve a paycheck but will hopefully give me the opportunity to work even more closely with the technicians there and learn even more. I’m also working with many of the education animals at the smaller hospital, particularly with the raptors. 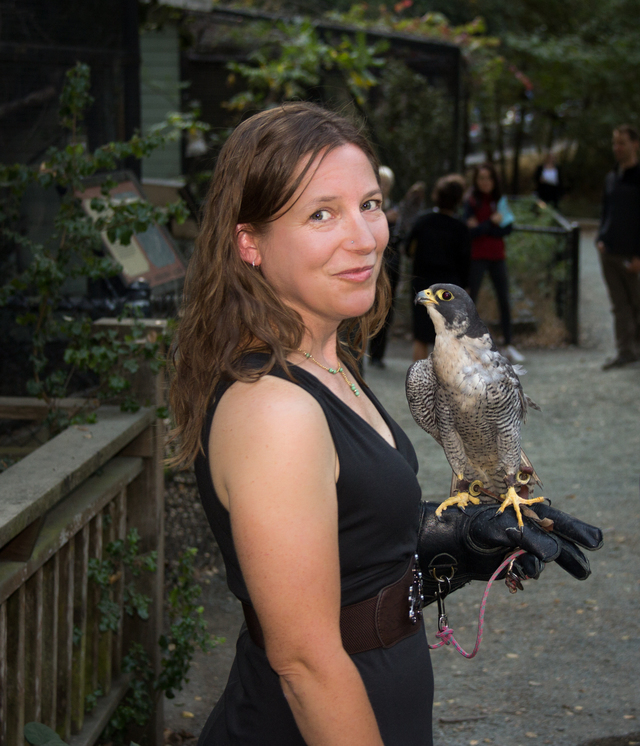 This is one of my favorite pictures from 2016, not because I look good (I wish I knew how to use Photoshop and could Photoshop my hair into not looking stupid), but because my buddy Elvis, the peregrine, is in it. Mark, who took the photo at our fundraiser event, says you can tell from the picture how much Elvis loves me. I don’t know if “love” is the right word to describe Elvis’s feelings for me, but I hand-feed Elvis on a regular basis and we do have a special bond, one that I had to build with him. And let me tell you, it is REALLY cool to bond with a raptor, especially a more “difficult” species like most of the falcons. AND LOOK HOW HANDSOME ELVIS IS!! I think I’m all typed out! If you want to know more regularly than once very six months if I’m alive and well, you can visit my photo blog, which I update daily. 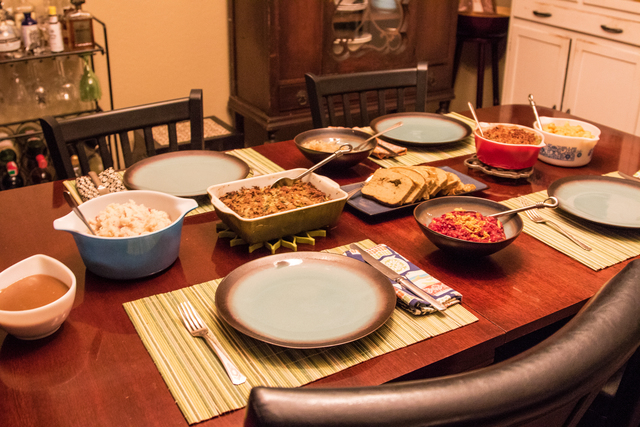 You had an awesome Thanksgiving menu, and it’s great that you could do it all without being in a rush! It must be really nice to be “good at holidays”, as you say. I’m not so organized, so I pretty much always end up scrambling at the last minute, and I’m not even the one hosting (there’s no way I could do it! 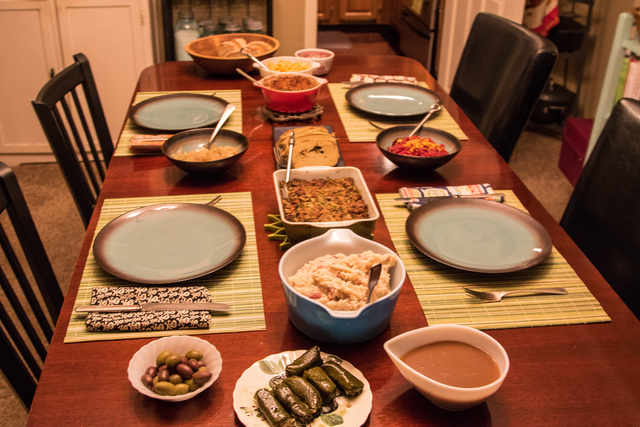 ), I’m just the one bringing the vegan dish… So thank you for mentioning what you prepared in advance and how you did it; I’m taking notes for the upcoming holidays! I’m in awe of all the canning you did, too. What a genius move to dehydrate and grind the leftover pulp! That tomato soup powder must be a fabulous way to add a burst of flavor to all kinds of dishes! Evis is quite the handsome peregrine, indeed, and this picture of you two is great! (I see no stupid-looking hair at all there…) I’m still following your photo blog, and always happy to find a post here too whenever you have something to share.